OK, so it’s technically Spring Welcome Week. Who are we kidding. 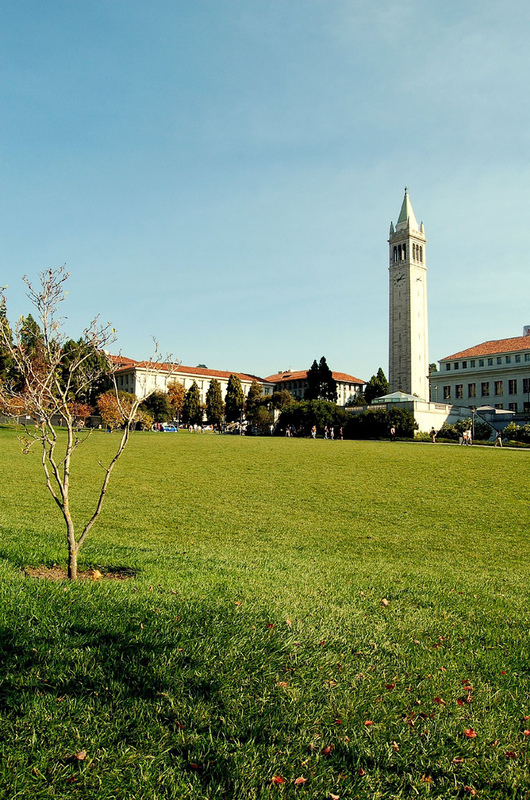 If you’re a student, you’re probably not even back in Berkeley. If you are in Berkeley already, then you’re either here against your will, or you’re new to our beloved university. We at the Clog give our condolences to the premature death of your winter break. May it rest in peace. In any case, we warmly welcome all you spring admits, transfer students, newly hired employees and perpetual Berkeley residents. You guys don’t get the excitement of a full-blown Welcome Week–complete with replete amounts of complimentary meals and excessively large club and business fairs–but who needs a Caltopia , anyway? They don’t even give away free BART tickets anymore. Yes, we’re still bitter about that. Here’s a short list of some of the welcome-themed events going on this week. You can find more activities at UC Berkeley Events  or at the Spring Welcome Week website . * Book Swap, all week, Martin Luther King, Jr. Student Union — If you haven’t already sold your books on Half.com , maybe this will work for you. ComeGetUsed.com  is also quite convenient. * Multicultural Showcase, Wednesday, 12-1 p.m., Upper Sproul Plaza — Berkeley prides itself on diversity, but can it pride itself on cultural solidarity? For one hour on Wednesday, it can! Come and see people of different cultures come together in one showcase–then next week, watch the dynamic somehow break into neatly organized tables lining the sides of Upper Sproul Plaza. We don’t get it, either. * Friends of Piedmont Greek BBQ, 12:30-2:30 p.m., Lower Sproul Plaza — Free food? * “Rock the Campus” Concert, 5:00-8:00 p.m., Lower Sproul Plaza — Here’s a sneak peek at what a noon concert on Lower Sproul feels like. The website is quick to warn us that no alcohol or weapons are allowed. Save your intoxicated scuffles for Bancroft Avenue. * Across the Universe, Thursday, 7:00 p.m. and 9:30 p.m., Wheeler Hall — What better way to celebrate the return of classes than by watching a fantastically bad movie-musical featuring the sounds of the Beatles. * 7th Annual Dine About Town, Jan. 15-31, San Francisco — It’s a given that big city food establishments need stupid names like Azizu, Choochoo, Frafra and Moponerongo. But ignore that for now–this is your chance  to dine at a trendy, overpriced (but admittedly, delicious) restaurant for under $50! That’s all, folks. Oh, and despite the lack of Caltopia and free BART ticket giveaways, the people at Bay Area Rapid Transit still have some semblance of a heart. If you sign up at myBART.org  you’ll get a chance to win things like a free $50 BART ticket or a “Dine About Town” meal–because you’re worth it.